Lean Tip #376 – Create a culture that values direct observation. Identify some “champions” to role model the importance of observation, teach others to do it well, and mentor others in the process. A system-wide change regarding the culture of observation can be both challenging and intimidating. Lean Tip #377 – Build meaningful feedback into the direct observation process. Train your staff to provide effective feedback. Particular emphasis should be placed on giving clear, timely, specific, behaviorally-based constructive feedback that focuses on a behavior that the learner has the capacity to change. Lean Tip #378 - Require action planning after each direct observation. After observation, the observer and learner should agree upon an action plan for the learner. An action plan that characterizes steps the learner can take to improve is crucial to the effectiveness of feedback. Lean Tip #379 - It’s the Discussion That Counts. The main value to be found in the observation process is actually in the discussion which takes place, not just in the observing or the paperwork (although these are both vital to the overall process). By engaging in a discussion about the process, we are not only addressing any specific issues that were observed and giving the person feedback, but we are also making a habit of thinking and talking about observation. Lean Tip #380 - Give Praise Where It’s Due. Make sure in your observations, that you are also looking to catch people doing the right thing. Give praise or positive feedback when you see things being done correctly and instances where people have gone beyond the procedure with ideas they’ve thought of themselves. Lean Tip #381 - Active listening requires being observant in the signals. Effective Active Listening requires skill in providing feedback and being observant of verbal and non-verbal signals. Lean Tip #382 - Good communication must be H.O.T. I’ve been thinking a lot about employee communication lately. I’ve been thinking about what makes for good, effective communication and how it can be a powerful force within any organization. Good communication must be H.O.T. H.O.T. stands for honest, open, and two-way. Lean Tip #383 - Make your visualizations appealing to the eye. While this might seem trivial, an aesthetically pleasing graphic or report will attract more attention and will generally be better understood. Limit the amount of text used for visual communications. Use key words to highlight important information. 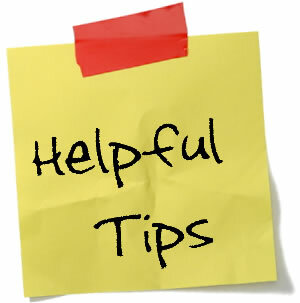 Do not use paragraphs or lengthy sentences as they weaken the message being conveyed and bore the audience. Lean Tip #384 – Make visuals simple to understand. Remember the old KISS method? Keep it simple: Make the communication easy and clear by avoiding unnecessary elements. The aim should be to communicate the data with as little visual "noise" as possible. However, take care not to go too far and remove meaning. Lean Tip #385 – Prioritize communication for key messages. It may be easy for you to know what information you need and what you can ignore. But for your workers, it may be hard to judge what’s really important and what’s extraneous. Prioritize for your workforce by aiming only to communicate key messages. This will help ensure that you’re not piling too much information on your team. 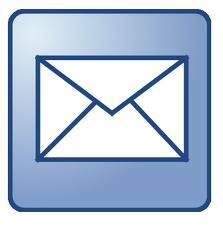 Lean Tip #386 - Communicate Regularly and Timely. Schedule regular communication to your employees, so they can learn to expect how they will receive their information. Convey messages in a timely manner to stop the rumors before they start. Lean Tip #387 - Communicate honestly. Be straightforward and don’t be too entrenched in delivering the "party line", which represents management’s sometimes overly rosy view of a situation. The honesty of your communication determines the character of the company and its ethics in the minds of employees. Lean Tip #388 - Invite questions. Two way communications is important. Wise managers realize that they won’t have all the answers to employee questions. "I don’t know at this point" is an acceptable response to an employee question, as is "Let me check into that and get back to you." The key here, of course, is following through. If you say you’ll get back to the employee with more information, do it! Lean Tip #389 - Communicate Clear Goals and Expectations. Each employee needs to understand what is expected of them. They also need to know how those expectations are going to be evaluated. Without this information how can management demand results? Don’t assume they know. Involve the employee in setting the goals to ensure they are comfortable with meeting the challenges. Lean Tip #390 - Take Time to Build Relationships. When you understand your employees’ individual work styles, preferences and needs, you can gain their trust. You can motivate them to achieve greater productivity, more effective teamwork and higher morale. When someone joins your work team, learn about their special skills and talents. Find out about their learning style and the type of feedback they appreciate. Ask them about their previous successes and how they work best with others.